Most manufacturers recommend servicing your hot water system every 2 years. 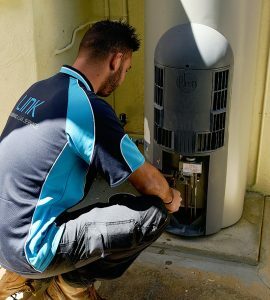 At Link Plumbing and Gas Service we believe that having an efficient and reliable Hot Water System is a must for any home or business. Any unexpected change in your hot water service may be the result of a minor problem that can be easily repaired by one of our fully licensed plumber/gas fitters. If left unchecked it may result in a much more significant issue. We believe it is better to extend the life of your hot water system with regular servicing, taking a repair over replacement policy when ever practicable. We service and repair all Gas and Electric storage and instantaneous systems as well as Solar and Heat pump systems. We cover all major brands including Rheem, Vulcan, Aquamax, Bosch, Rinnai, Everhot, Solahart, Edwards, Wilson, Stiebel Eltron, Pyrox, Everdure and more. Call us for your service/repair needs on: 08 6252 0326 or press the request Call back button. Don't get stuck with that Rusty old Hot water system! 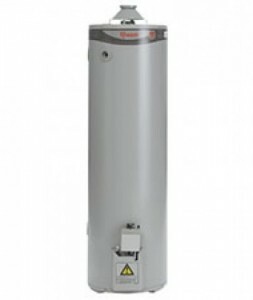 Most people are unaware that the removal of your old hot water unit is NOT included in the installation price of a new hot water system. Verge collections by most councils will no longer pick up old hot water units and you are not allowed to put them in the council provided skip bins either. We will remove your old hot water system free of charge with every new installation, saving you time and money. Call us for an obligation free quote on 08 6252 0326 or press the request Call back button. Need Peace of Mind or have you just Sold or Bought a new property? Call us to arrange your Plumbing and Gas Home Safety Audit on: 08 6252 0326 or press the Request Call back button.